STANDING near her co-star Alexander Skarsgard, Charlotte Gainsbourg looked every bit the glamorous French star ready to seduce America. Her dark brown mane was sexily volumized, her eyes were rimmed in kohl, and she wore a simple black silk jersey, strappy high heels and pleated, silver-spangled trousers — all by Balenciaga, the French fashion house for which she is a muse. It was the New York Film Festival after-party for “Melancholia,” the new Lars von Trier film, which garnered raves for Ms. Gainsbourg at Cannes (and which opens Friday in New York and select cities). The paparazzi and film elite packed the Stone Rose Lounge on this blustery October night, ready perhaps to anoint a new French star. But after Ms. Gainsbourg put in her obligatory 45 minutes on the red carpet, posing for photos and answering reporters, she turned to the film’s publicist and whispered, in her girlish voice, “May I go now? I want to get home with Joe,” her 3-month-old daughter. Her gentle bit of indifference not only explains her allure in France but underscores why she isn’t straining for greater recognition in the United States. 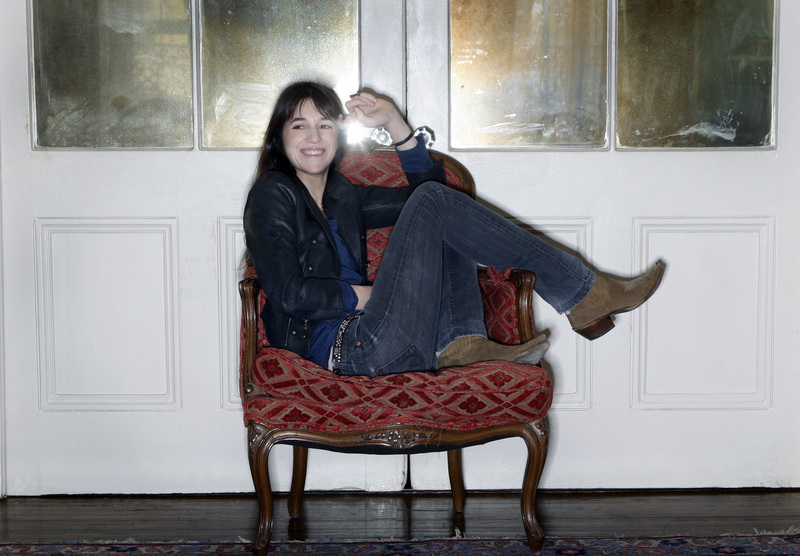 The daughter of the musician Serge Gainsbourg and the actress-singer Jane Birkin, Ms. Gainsbourg has twice won a César (the French equivalent of an Oscar) as well as the best actress award at Cannes in 2009 for her role in Mr. von Trier’s horror film “Antichrist.” Indie music fans may also know her collaborations with Beck and the French electronic duo Air. But Ms. Gainsbourg is perhaps just as well known for her fashion sense, which may end up charming America as thoroughly as it has France. Her clean-scrubbed, slouchy daytime look has almost single-handedly redefined everyday French style for a generation of young Parisian women. Her look, which she has cultivated since her late teens — wind-blown hair, unpainted lips holding a cigarette, jeans, trench coats, cowboy boots, half-buttoned men’s-tailored shirts, tank tops, chunky scarves — typifies an artfully rumpled yuppie-hipster hybrid that has taken hold in France: the bourgeois-bohemian, or le bobo. French women under 40 emulate her style in part because they feel they came of age with her. In 1986, at the age of 15, Ms. Gainsbourg accepted the most promising actress César for her role in “L’Effrontée,” a sweet movie about a sullen, lonely girl yearning for life beyond her drab village. After her father gave her a lengthy kiss on the mouth, Ms. Gainsbourg clambered onstage with her boyish hair in her face, and a navy blue blazer and trousers from Agnès B, sheepishly whispering “Merci” through tears. The image of the nonthreatening Everygirl carried her into her 30s, when she starred in a string of Paris-based romantic comedies. By then, her hair had grown into a full, loose style, and her no-fuss look had become something of an urban uniform. The morning after the “Melancholia” party, Ms. Gainsbourg was in her fabric-walled suite at the Crosby Street Hotel in SoHo, checking on Joe between breaks in a long day of press interviews. She emerged from an adjacent room barefoot, hair tousled and face makeup-free, a study in understated elegance. She wore a gray V-neck sweater and black slacks, both by Balenciaga, which were accessorized with a small Cartier Mini Baignoire watch and tiny diamond on a gold chain. The Balenciaga slacks, she said, were for the day of interviews. “I usually wear jeans,” she said, her voice barely above a whisper. Nobody that famous is entirely artless. In 2009, after recovering from a water-skiing accident and getting ready to attend the premiere of “Antichrist” at Cannes, Ms. Gainsbourg called her friend Nicolas Ghesquiere, the creative director at Balenciaga, for a makeover. “My intention was to make an effort that was close to who I am but not too stylish or sophisticated,” she said. Since then, Ms. Gainsbourg has become a muse for Mr. Ghesquiere, appearing in Balenciaga creations that are ever more intricate, daring and luxurious. Last year, she became the face of Balenciaga Paris, the brand’s first fragrance in 55 years, and this year she was photographed for yet another new Balenciaga perfume, L’Essence. “I’m not under obligation to wear Balenciaga, but I like the idea of being faithful to one designer,” she said. It may be an overstatement, but it’s fair to wonder whether Ms. Gainsbourg could gain the kind of attention enjoyed by Catherine Deneuve during the 1970s and ’80s, when she was the face of Chanel No. 5, muse to Yves Saint Laurent and star of the cult vampire movie “The Hunger” with David Bowie and Susan Sarandon. 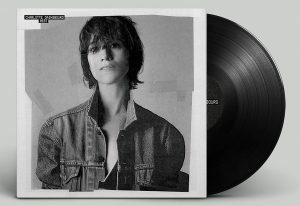 Besides “Melancholia” and her Balenciaga campaign, Ms. Gainsbourg is releasing a new double album, “Stage Whisper,” which comprises live tracks and unreleased studio tracks produced by Beck. It is scheduled to be released Dec. 13. But it’s hard to imagine that Ms. Gainsbourg would have the patience for anything that smacked of a conquer-America campaign, especially one built on fashion.